Pizza. A food loved by all and what some would consider a universal food group. 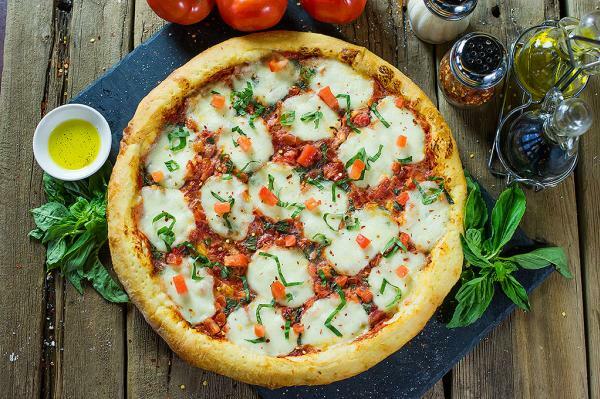 From deep dish to New York style and Detroit brick oven to Neopolitan, the pizza pie has evolved over the years, making it a staple in the average persons diet. What kind of pizza is iconic to Lansing, do you ask? Well, we decided to explore some of the most well-known pizza joints in the area in our very own, "Pizza Tour of Lansing" to figure that out. 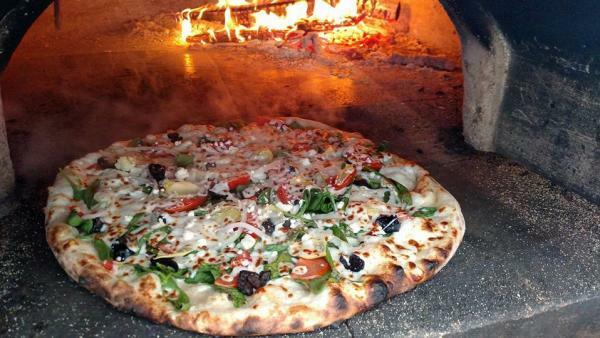 Craving a brick oven pizza? Look no further than Detroit Frankie&apos;s, located right outside of Ellison Brewery starting August 16 every Thursday through Saturday. Whether you want a plain pepperoni and cheese or want to explore a new customization, the choice is yours and the options are endless. Time to grab a pint and a slice! The food truck with so many unique pizza creations you&apos;ll want to try them all! Shove It Pizza makes it easy for you to do just that with their Shove 2 deal where you can pick any two items on the menu and get a half size of each for just $10. 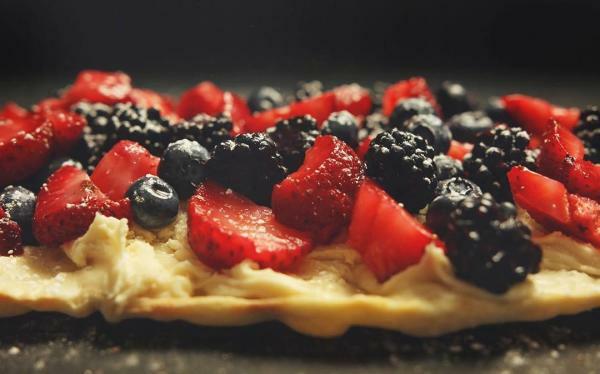 Now you can experiment all their pizzas and even take a hand at trying one of thier dessert pizzas like the red, white and berry (pictured above) or the strawberry nutella, YUMMO! Locally owned and full of a whole lotta love. This Italian restaurant sure knows how to make a good pizza that keeps their loyal customers coming back for more. Potato slices on a pizza? You got it. How about a taco style? You betcha. DeLuca&apos;s continues to come up with distinct creations that have voted them "Best of the Best" for 17 consecutive years. They said it best themselves, "pizza sauce runs through our veins"! 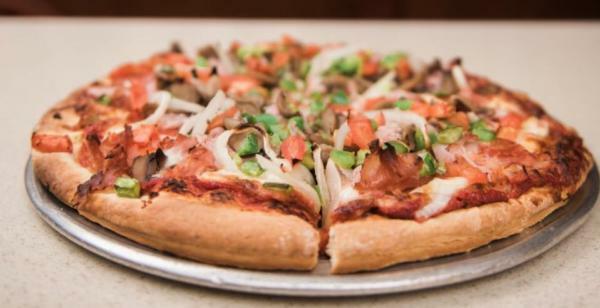 The Chicago style pizza you&apos;re craving right here in the heart of East Lansing! Pizza House is the most popular game day destination for a reason. With crust options ranging from, thin to stuffed Chicago style, they have all the favorites for any fan of a good pizza pie. The best part is, they are open until 4 AM, providing the perfect slice for those late night munchies. 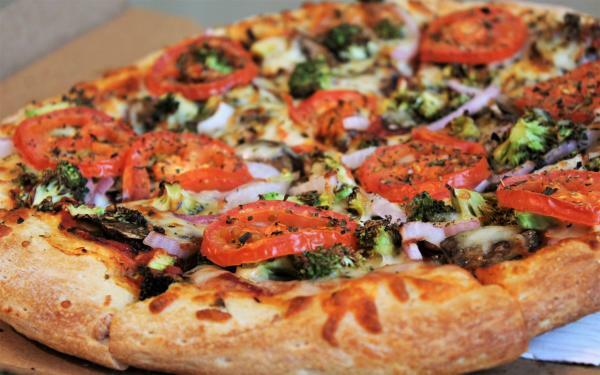 Sir Pizza gives you plenty of options to try one of their gourmet pizzas, having 5 locations in the Lansing area and even offering you the option to take home a frozen pizza. There&apos;s no excuse to not try this Lansing staple. What goes best with pizza? How about a fun night out on the town. The Grand Café Sir Pizza in Old Town has the perfect outdoor patio to unwind with friends and even offers karaoke on Friday nights! 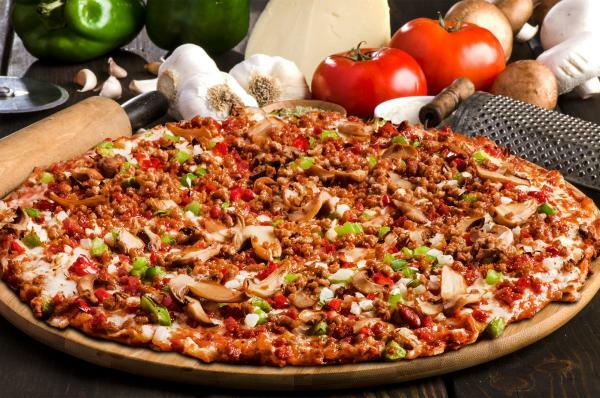 Cottage Inn is a popular pizza chain, perfect for those late night cravings. But, what many people may be unaware of is their GLUTEN FREE pizza options! That&apos;s right, Cottage Inn offers a gluten free crust on any of their pizzas. Your days of never thinking you can eat pizza again are gone. Indulge in a slice of hawaiian or bbq chicken and become a glutton for Cottage Inn’s gluten-free pizzas! Pizza and a brew anyone? Next time you&apos;re visiting EagleMonk Pub sampling one of their great craft beers try one of their homemade pizzas (gluten-free crust available too)! EagleMonk is a family friendly setting offering live entertainment, yard games and darts. Bring in the friends and family and try one of their specialty pizzas including their biggest hit, the Neighborhood Special. Located in downtown Williamston, Tavern 109 is the local restaurant featuring many comforting favorites. With a wide menu their pizza can sometimes be overlooked but let me tell you, their pizza is ICONIC. 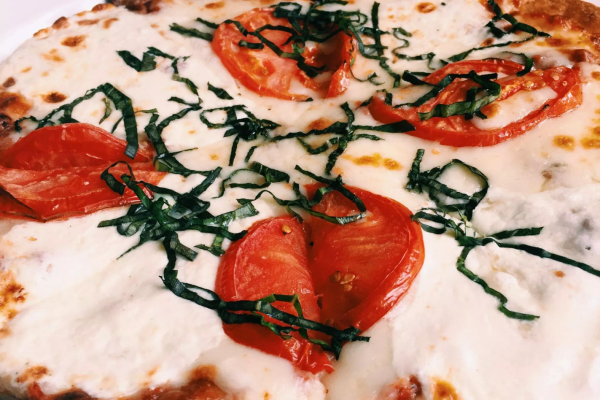 Tavern 109 offers cauliflower crust for all those who are gluten intolerant or anyone looking to try the latest trend in pizza (that would be me). I highly recommend making your way to Williamston to try one of their fun pizzas! The Cosmos, one of Lansing&apos;s greatest treasures. Where you can get a pizza with a runny egg, duck sausage, or you can trust the chef with whatever he conjures up that day (options can even be made vegan compatible as well)! Even Guy Fieri knows how special this pizza joint is, as it was featured on Diners, Drive-Ins and Dives. Enjoy a slice in Cosmos or their sister joint Zoobie&apos;s Old Town Tavern and pair that one-of-a-kind pizza pie with an iconic moscow mule. We love pizza, you love pizza, everyone loves pizza! 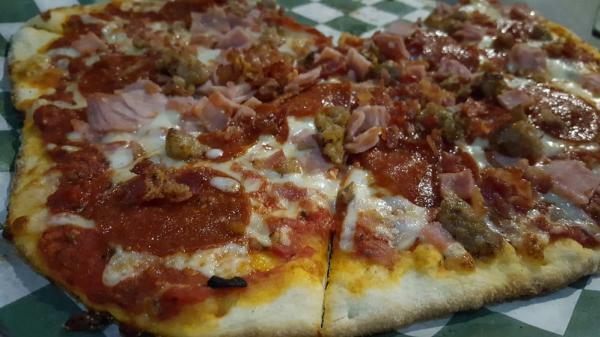 With so many different crust styles and unique toppings, you can find the perfect slice suited for you just about anywhere in the Lansing area. 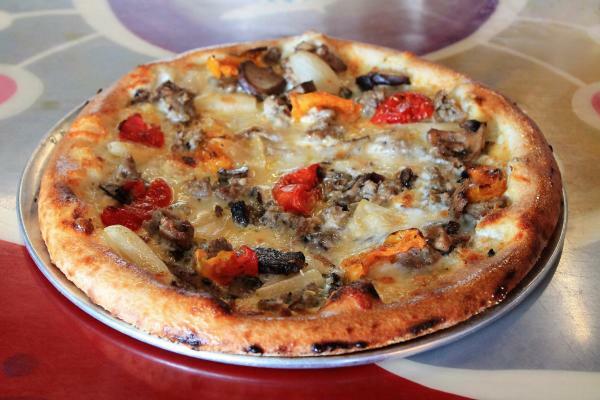 There are plenty more pizza joints to dive into, so go out there and keep this tour going!